Brag Books make a GREAT Christmas Gift. Score one for FREE at Walgreens right now. Here's the step by step on how to snag this FREEBIE. 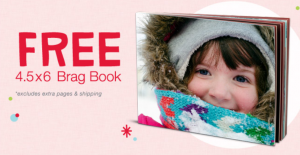 4) Add the checkout enter the promo code" BRAGBOOK"
* Please note that this FREEBIE is only valid through November 23rd.